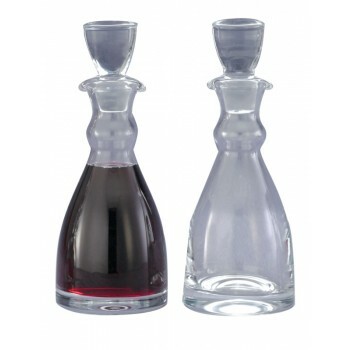 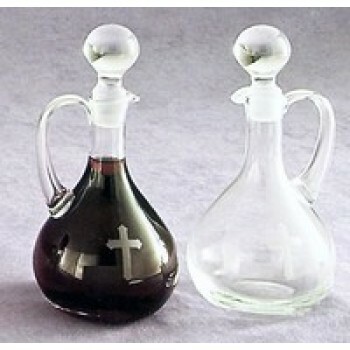 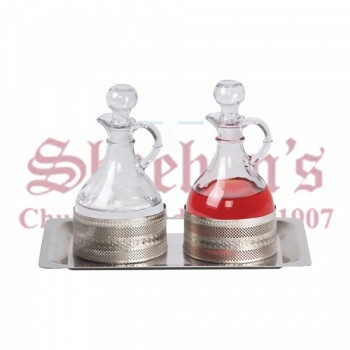 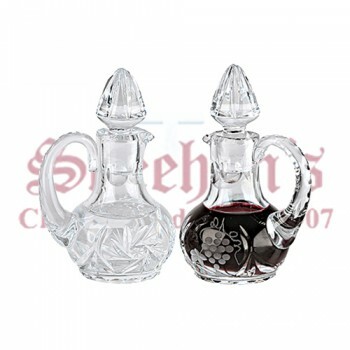 Cruets are small vessels with narrow necks that are typically used during church services to hold the ceremonial wine and water. 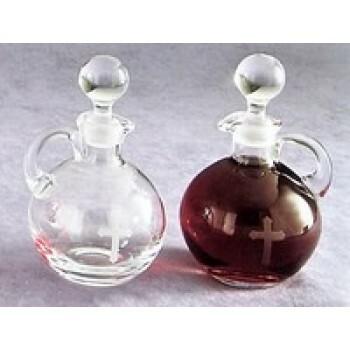 They are used for the Holy Sacrifice of the Mass and available in a wide range of shapes, styles and designs. 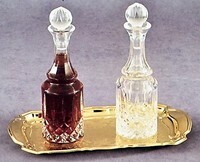 Most cruets are made of glass and clear to make it easy to see and identify the contents. 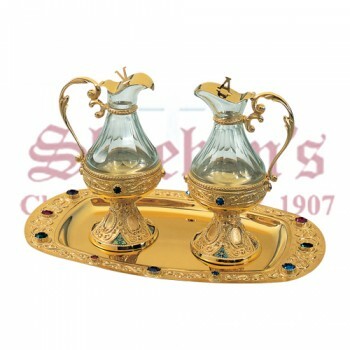 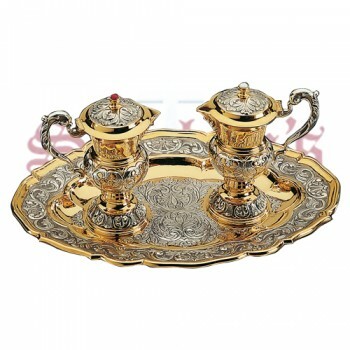 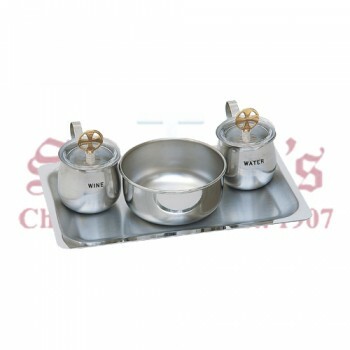 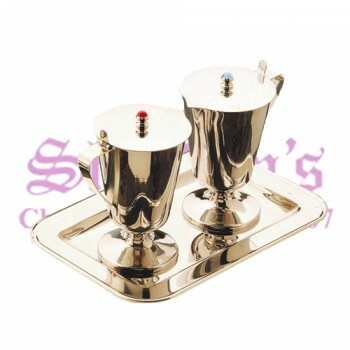 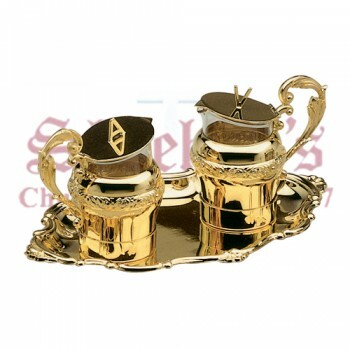 Sometimes precious metals such as gold or silver are used for the body of the cruet or special adornments. 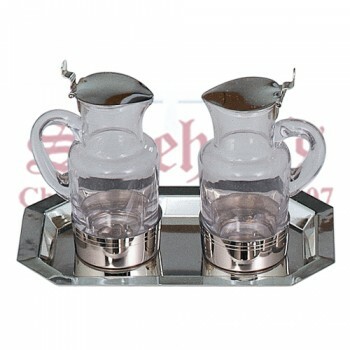 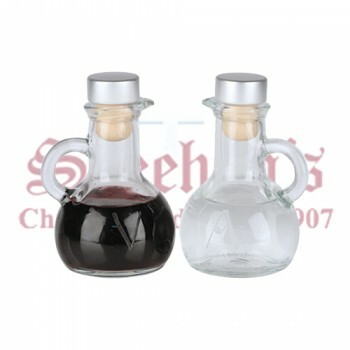 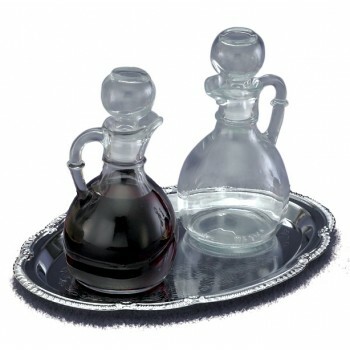 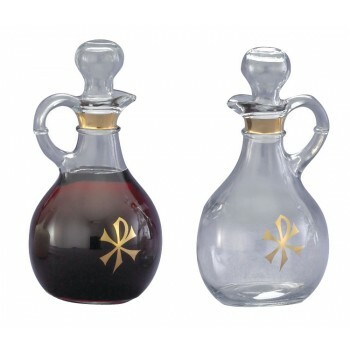 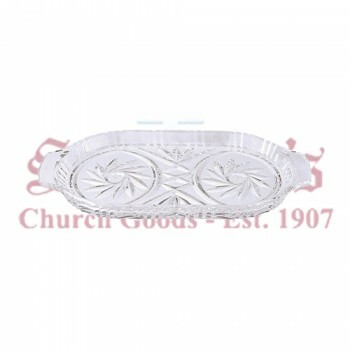 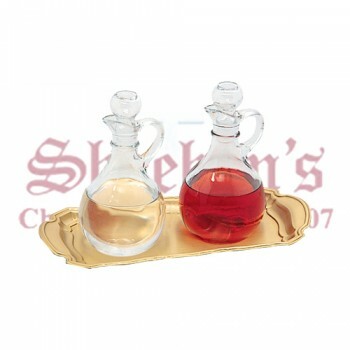 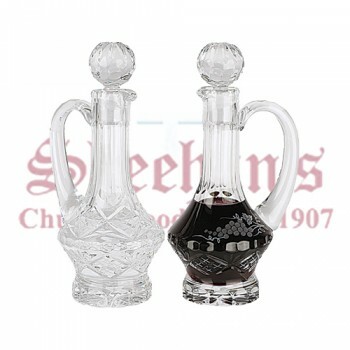 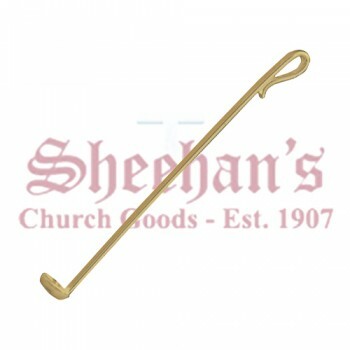 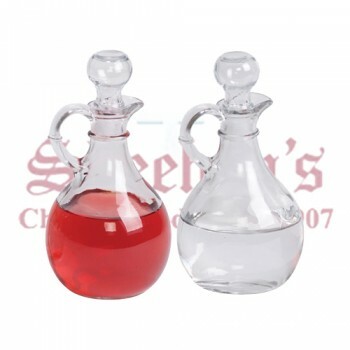 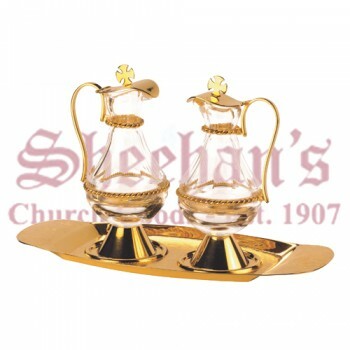 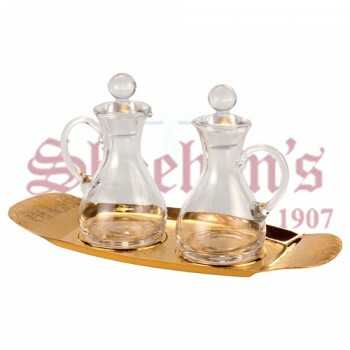 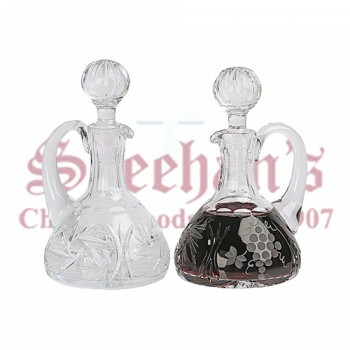 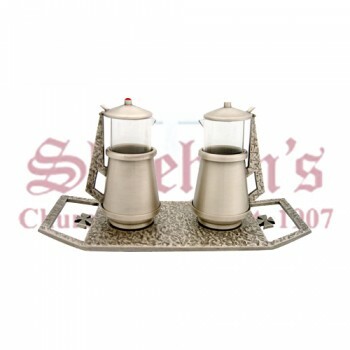 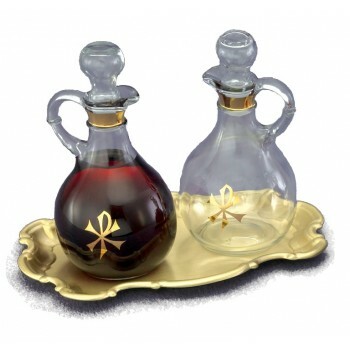 Matthew F. Sheehan offers a large selection of cruets for Mass to choose from as well as several trays for displaying or transporting the vessels. 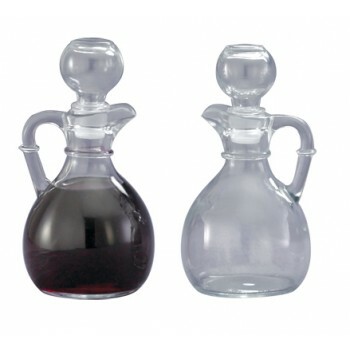 Our cruets for Catholic Mass are available in several styles, including highly ornamental designs. 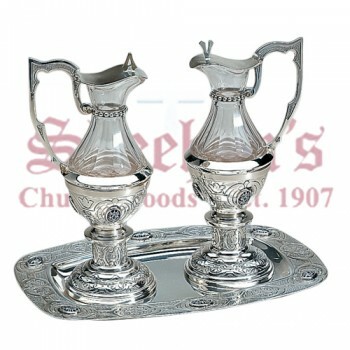 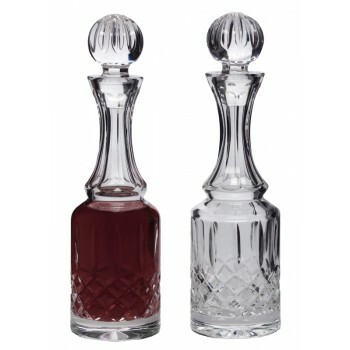 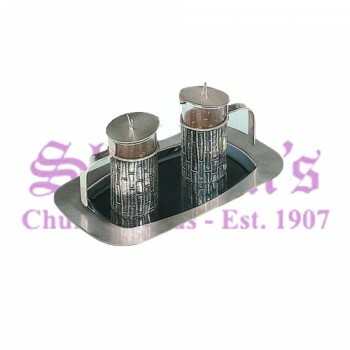 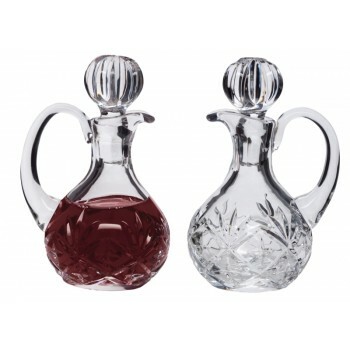 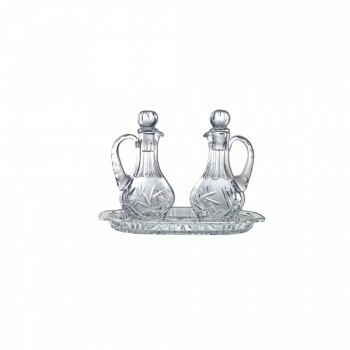 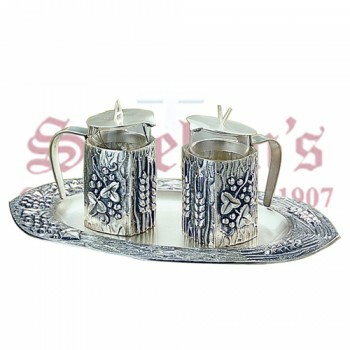 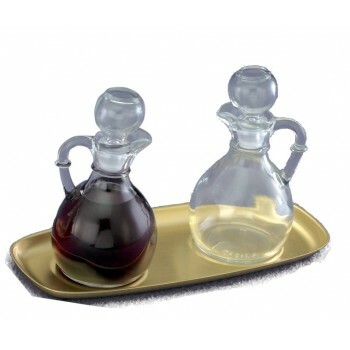 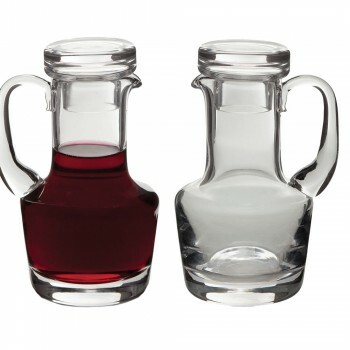 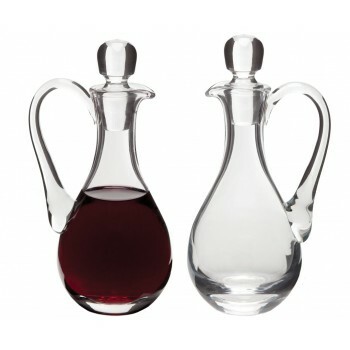 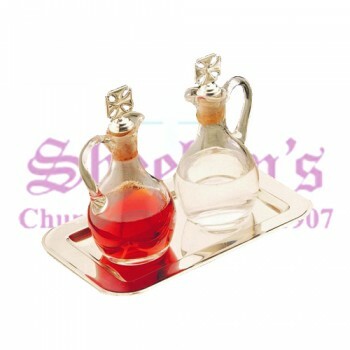 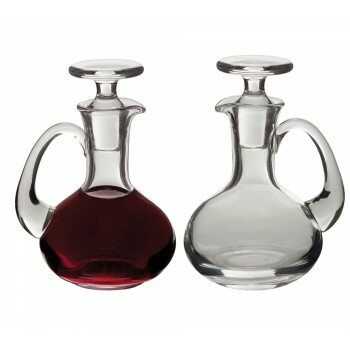 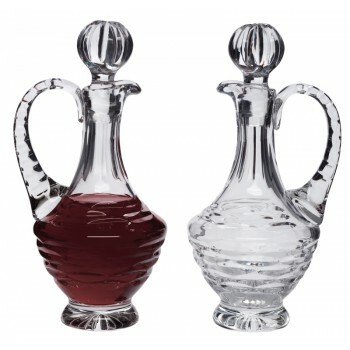 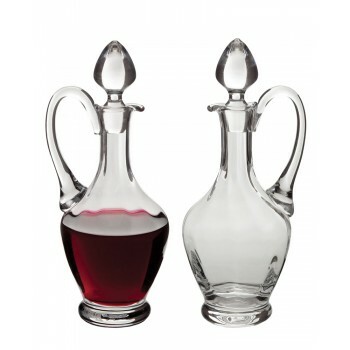 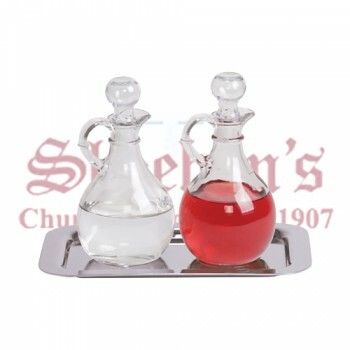 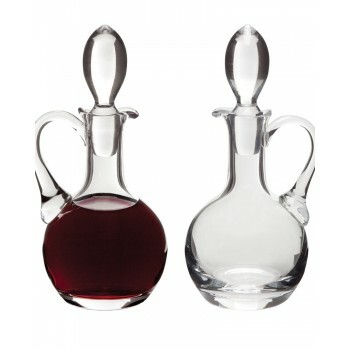 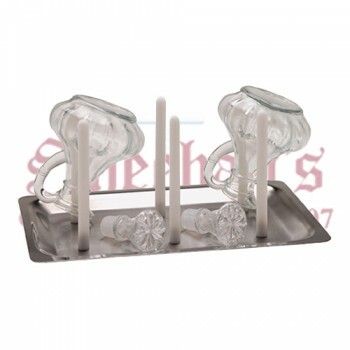 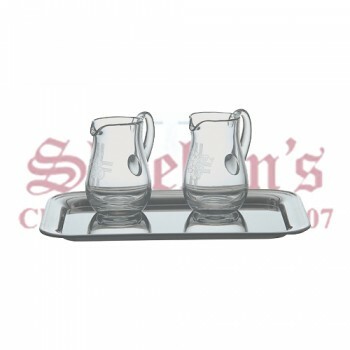 Choose a cruet set that matches the size and style of your church for the best fit on your altar. 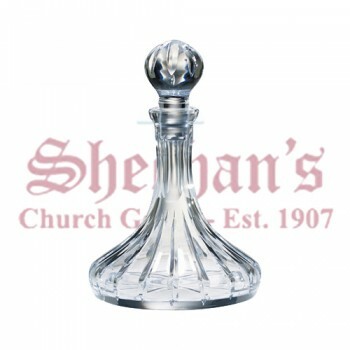 For more information about any of the cruets shown here, simply click on the image of the item you are interested in from the list shown or give us a call at 1-617-971-9800. 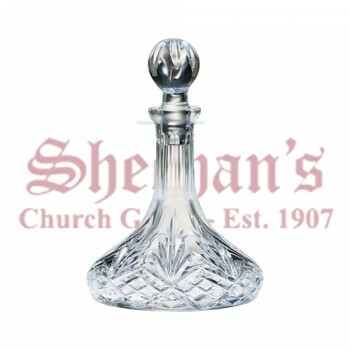 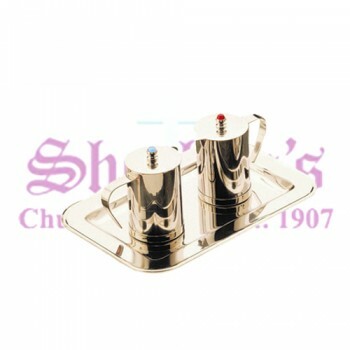 All our cruets are hand-picked to meet the quality you would expect from Matthew F. Sheehan. 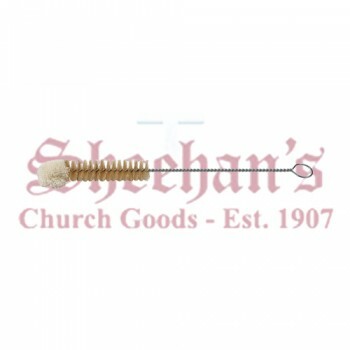 We've been a leading church goods supplier since 1907 and continue to offer the religious community unbeatable service and expertise.